Shelley Baka moved here from Warren, Ohio, in 1996. She is married with two sons. She enjoys shopping, traveling and reading. 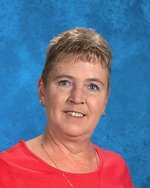 She has worked for the Nye County School District since 1998.